Summary: Obama’s anger at Israel’s Netanyahu was about Netanyahu’s anger at White House policy on Iran. All of the other excuses that Obama threw out proved inaccurate. 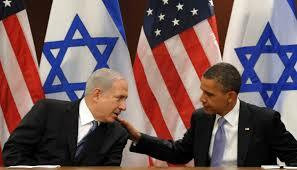 However, Obama’s actions have introduced a partisan split over Israel into DC politics. Break in Protocol: Obama initially criticized the break in protocol of Israeli Prime Minister Benjamin Netanyahu accepting an invitation without consulting the White House. A report later came out that the White House was informed about the invitation before Netanyahu accepted. 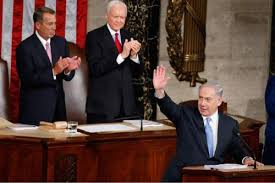 The White House anger should have been directed at Boehner, not Netanyahu, even if this reason held any truth. Israeli elections: Obama offered another excuse to skip Netanyahu’s address: Obama said that it was US policy to not invite a foreign leader to address Congress in an election season as it would be seen as influencing the elections of another country. 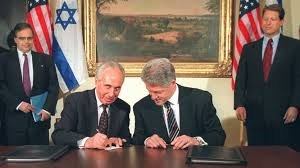 In fact, US President Bill Clinton invited then Israeli Prime Minister Shimon Peres to speak to Congress one month before the Israeli election. Further, the timing was a function of Secretary of State John Kerry’s announced Iranian deal deadline on March 24, not the timing of Israeli elections. Bi-partisan Support: The Obama administration then offered another reason why he and members of his cabinet would leave town during Netanyahu’s visit to D.C.: that Netanyahu was playing partisan politics. The reality is detailed below. Israel and the United States have been strong allies regardless of the party in the White House. Israel’s relationship with Bill Clinton (D) was much better than with George HW Bush (R); and better with George W Bush (R) than with Barack Obama (D). There is no benefit or desire for an Israeli leader to choose one party over the other as Netanyahu reiterated in his remarks in the US in March 2015. The dynamics of particular leadership personalities play a role in the tone, but not the substance of the overall relationship between all of the elected US parties in government and the Jewish State. Netanyahu and Obama have dealt with each other for six years where at times they’ve agreed or disagreed on a variety of issues; in each case, the parties in Congress maintained their support of Israel. At this moment, Netanyahu strongly disagrees with Obama’s position in the Iranian nuclear negotiations. It happens to be that Republican leadership also disagrees with the Obama administration. It was solely on that topic that Netanyahu spoke to a joint session of Congress – a major “existential” issue of direct significant impact on Israel. The difference in opinion about a particular policy does not mean that Netanyahu or Israel now prefer Republicans to Democrats, nor should it mean that elected Democrats or Republicans should treat Netanyahu or Israel any differently. However, the Obama administration made the claim that this was partisan politics, and kept members of the administration from meeting with Netanyahu and asked Democratic party members to stay away from the address, thereby creating a partisan issue. That may very well have been the goal of Boehner. But the Democrats seemed all too willing to take the bait and insult Israel and Netanyahu by snubbing him. Democrats decided that a distorted idea of party loyalty was more important than hearing the concerns of an ally that has been threatened with annihilation by the very country with which the administration is creating a pathway for nuclear weapons. The gulf in the support of Israel between the right and left of the American public is not new. Republicans support Israel by almost a 2-to-1 ratio compared to liberals around the country. Liberals support opening warmer relations with Muslim countries by over a 2-to-1 ratio over conservatives. But those statistics are in the general population of the United States. Obama has now brought that partisanship into the legislative branch of government in D.C. itself. At the administration’s urging, 58 Democrats boycotted Netanyahu’s speech to Congress. No Republicans missed the address. Perhaps Obama used Netanyahu’s speech to pivot the party into a closer position with his loyal base of liberal Americans. If so, the implications for Israel will be very negative. The only silver lining to the shattered red lines of Iran’s nuclear program will likely be that the Palestinian Arabs might return for peace talks with Israel as they will never have such an advocate in the White House as President Obama. What price will Obama make Israel pay? How much will it matter in the coming nuclear tinderbox of the Middle East? This entry was posted in Iran, Israel, Middle East Analysis, Opinion and tagged Boehner, democrats, Iran, Netanyahu, nuclear weapons, Obama by First.One.Through. Bookmark the permalink. Pingback: Red Herrings on the Red Line.